Every book-lover enjoys a book list. 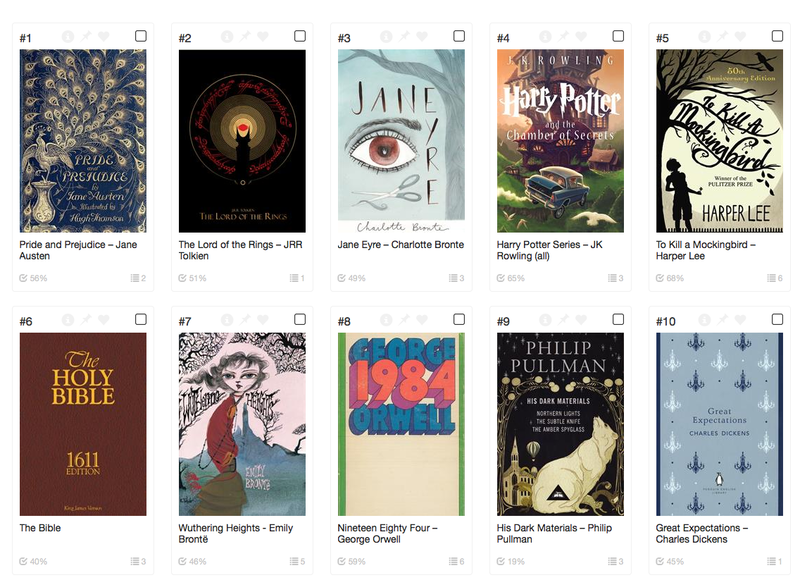 Take a look at BBC’s list of 100 books. Which ones have you read? See the full list at the site shown above. Today’s Assignment: Make your own book list. It can be a list of books you’ve read or books you want to read. It can be any sort of list. Give it an appropriate title.